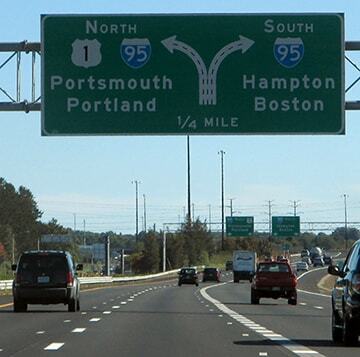 That was looking south on Pleasant, which is one-way northbound today. 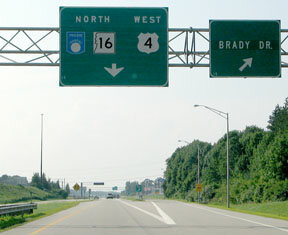 But it probably ran both ways originally, and it is possible that US 4 came down this way and ended at the intersection in the middleground (State, or US 1). 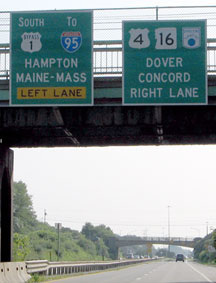 Between 1941 and 1956, US 1 was moved back to the old (and current) route and the bypass became BYP US 1. 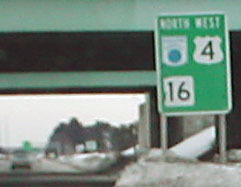 The New Hampshire Turnpike (now I-95) was built in 1950. 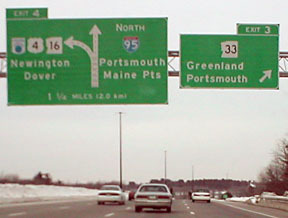 This tied into BYP US 1 just south of US 4 (modern I-95 heading into Maine was not built until later). 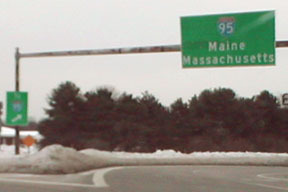 In about 1956, the Spaulding Turnpike was built, and US 4 traffic was moved onto it. 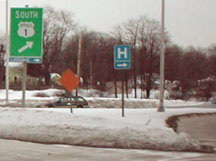 A rotary (Portsmouth Circle) was built (probably in 1950) at the intersection of the two turnpikes and BYP US 1. 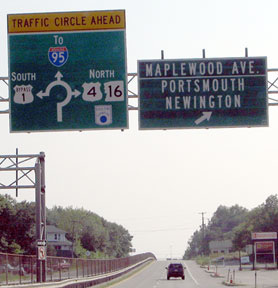 From 1970-1972, current I-95 bypassing and north of Portsmouth Circle was built. 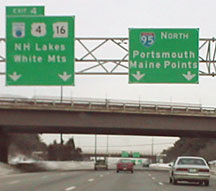 Prior to that, I-95 traffic used BYP US 1 between the NH and Maine Turnpikes. Direct ramps from both directions of I-95 to US 4 west and US 4 east to I-95 south were built; traffic from US 4 east to I-95 north still has to use Portsmouth Circle but it is a right turn. 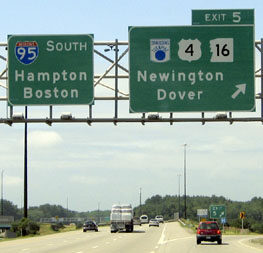 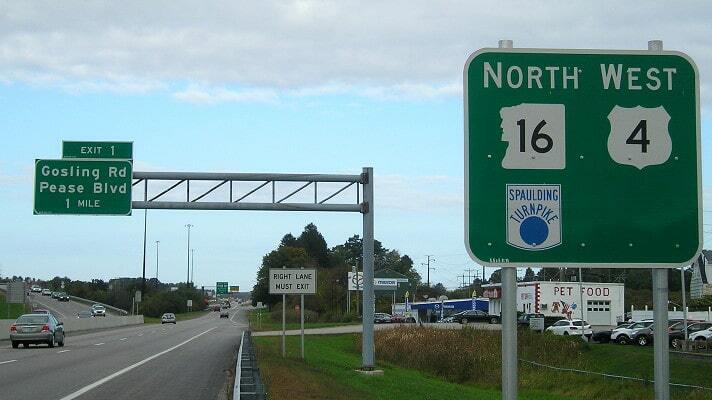 Around 1992, NH 16 was moved onto the Spaulding, so US 4 and 16 both end at the same interchange. 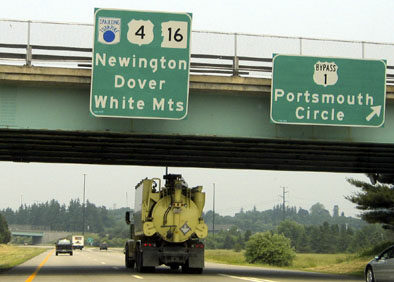 So US 4 has ended at Portsmouth Circle since probably 1956... at least officially. 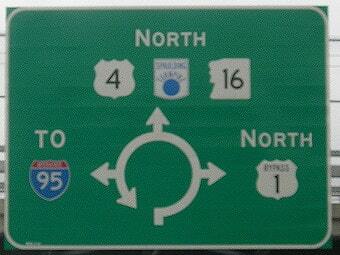 However, actual signage at the Circle currently indicates otherwise, and signage elsewhere suggests a couple other endpoints. 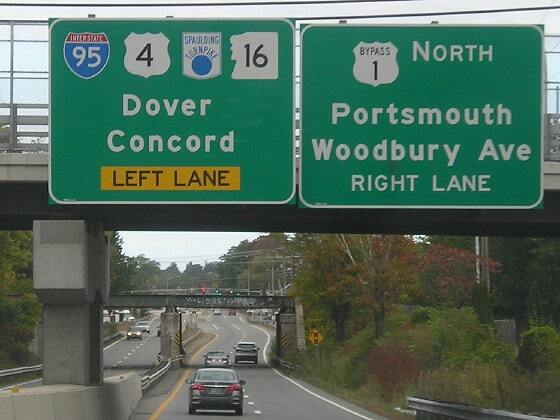 ​...but ground signage just ahead (at the physical gore) is interesting. 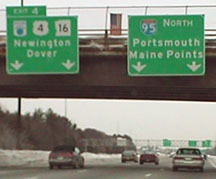 Unfortunately I do not have any good photos, but the left-hand sign says "South NH 16 to North I-95", while the sign on the right says "South Spaulding Tpk to South I-95". 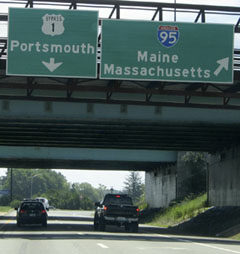 No mention of US 4 whatsoever. 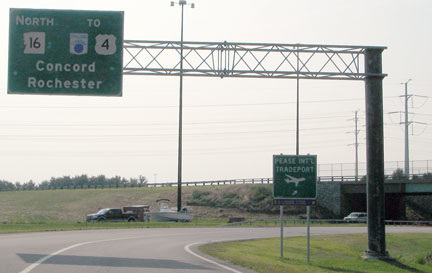 So the east terminus of US 4 is somewhat ambiguous, at least in terms of how it is signed. 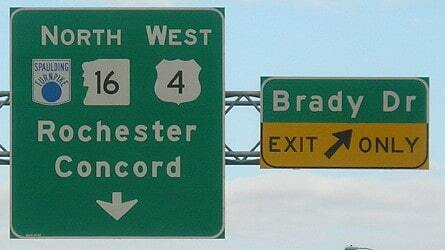 last updated Mar. 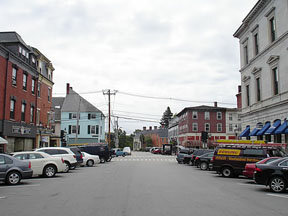 10, 2019.